A £75.00 deposit is needed at the time of booking your holiday then the remaining payment 4 weeks before your holiday date. 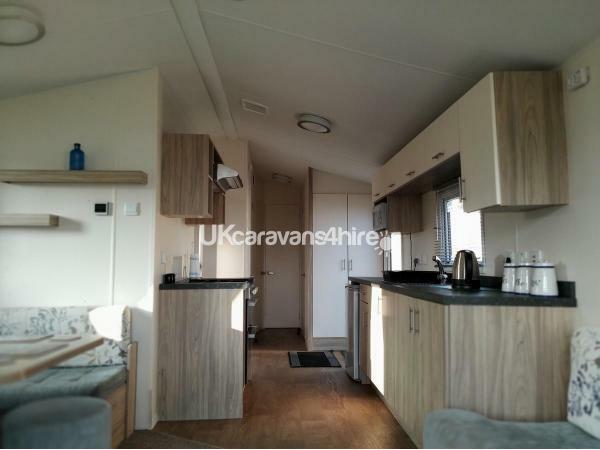 In addition we also require a £75.00 security deposit which will be refunded to you within 7 working days of our caravan being checked and left in a tidy condition with no damage being done or loss of property from the caravan and the key returned to reception. 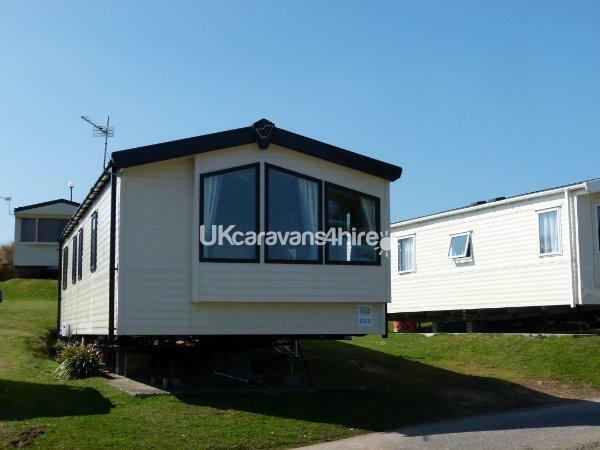 Our 2015 Caravan is spacious and bright, with double glazing and blown air heating. With 3 bedrooms and a pull-out double bed in the lounge this will easily and comfortably cater up to 8 people. Parking is right outside the door and with extra space behind the caravan for a additional car. There is 1 double bedroom and two twin rooms, all with blown air heating. 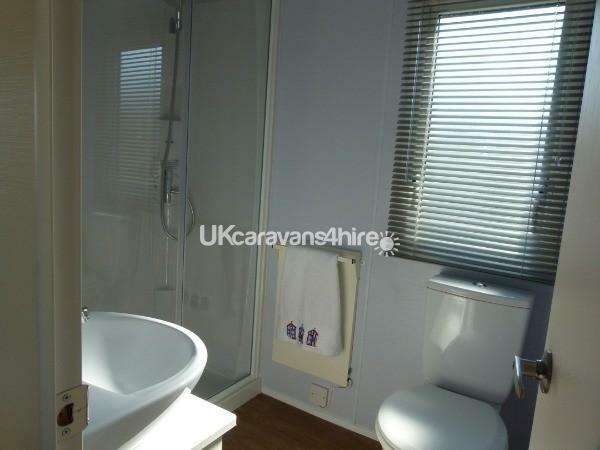 There is a large bathroom with shower and heated towel rail and the benefit of a additional WC and sink next to the bedrooms. The galley kitchen comes fully equipped with all modern essentials and utensils, just bring your own washing up liquid, dishcloths and tea towels. In the lounge you will find a 32" Smart Full HD Free view TV /DVD comb, a L shaped sofa and separate dining table with seating and a gas fire. All Duvets and Pillows are supplied so you will only need to bring your own duvet covers, sheets, pillowcases and towels, or you can hire them from Haven for a additional fee. 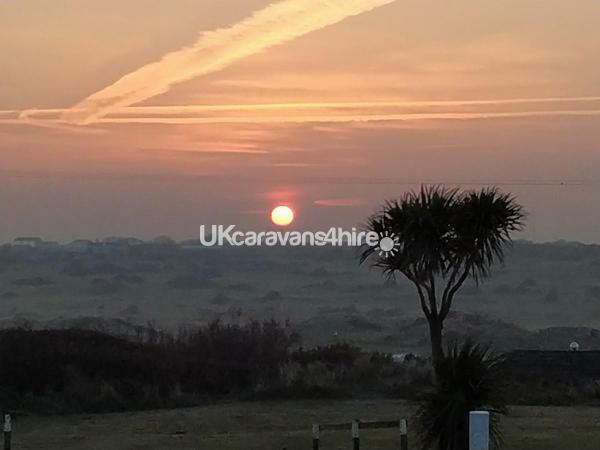 The caravan will be ready from 3.00pm on the day of your arrival and must be vacated by 10.00am on the day of departure. If required 3 or 4 night breaks can be arranged, just ask, subject to availability. 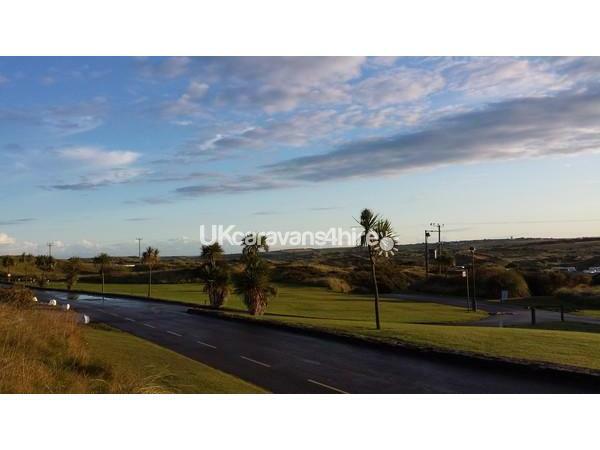 PERRAN SANDS: It has all the facilities of a 5 star "All Action" holiday park with a brand new for 2018 season Lazy River swimming complex, The Haven site is located in a large conservation area of sand dunes and on the coastal area for all those guests who like their holidays a bit quieter. The entertainment complex is only a couple of minutes walk away, there you will find restaurants (with Free WiFi access) , takeaways, swimming pools, shops, a hire shop and the main reception. Passes are required to enter the clubs and activity's, these can be purchased at a additional cost through Haven. 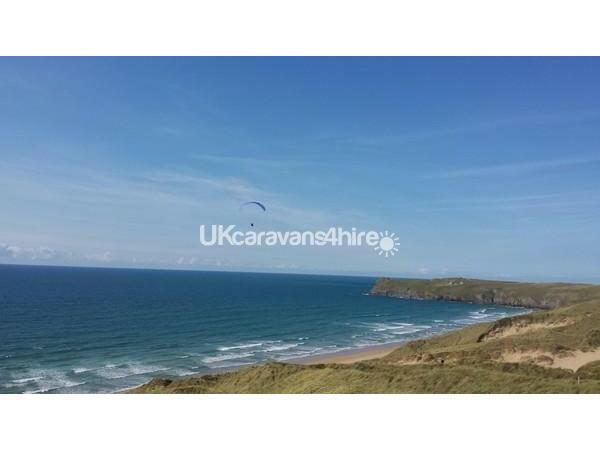 A couple of minutes walk away you will find the stunning coast and a 3 mile private beach, you can walk directly to Perranporth when the tide is out, there is also direct access to the coastal path to discover miles of walks and wildlife. All information for the park and surrounding area can be found in the Haven reception to make the most out of your holiday, you can use it as a base to discover beautiful Cornwall or park-up the car and stay on-site! there is something for everybody on Perran Sands! Just a deposit of £75 (non refundable) is needed to secure your holiday . 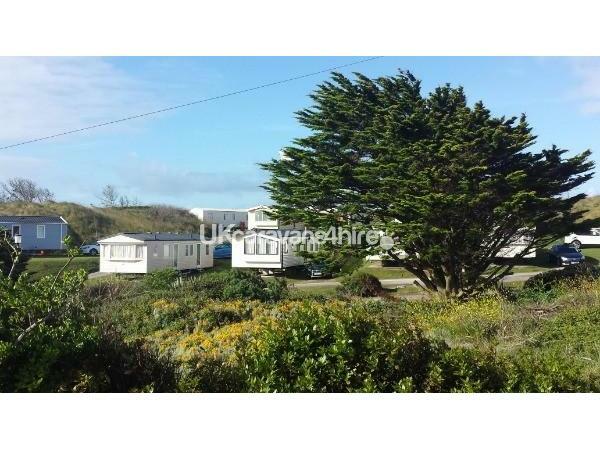 In addition to the holiday price a security deposit is required of £75 which is refunded up to 7 working days after the caravan has been checked that is has been left clean and tidy with no damage, breakages or missing items and the key returned to reception. No pets excepted (this includes dogs, cats, birds rabbits etc ). No smoking or vaping inside the caravan.